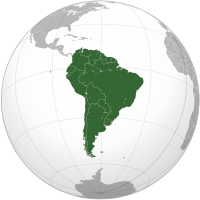 South America is a part of Earth and consists of the following regions: Colombia, Ecuador, Chile, Brazil, Argentina, Bolivia, Falkland Islands, Uruguay, French Guiana, Suriname, Guyana, Paraguay, Venezuela, Peru. See South America interactive map with the information about travelling to South America. The most popular means of transportation in South America. 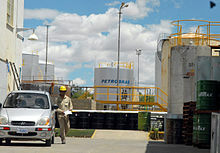 Gulliway has a special source for travelling activities in South America. Independent travel to South America. Want to travel to South America on your own? Are you looking for more travel information about South America? We have routes through many cities. Please check our: routes through Salta, routes through Viña Causiño, routes through Huancayo, routes through Curitiba, routes through Caracas, routes through Guayaquil. Our statistic says, the most popular travelling activities are: Mountain Climbing, Aquarium & Zoo, Romance, Mountain Biking, National parks, Boating, Sailing, Archeology, Wilderness Adventures, Hiking, Walking, Camping. 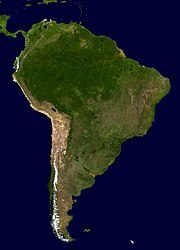 Wikipedia about South America: South America on our wiki pages. 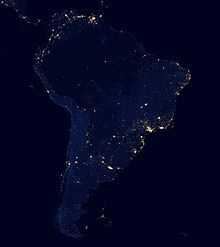 South America has an area of 17,840,000 square kilometers (6,890,000 sq mi). Its population as of 2016 has been estimated at more than 420 million. South America ranks fourth in area (after Asia, Africa, and North America) and fifth in population (after Asia, Africa, Europe, and North America). Brazil is by far the most populous South American country, with more than half of the continent's population, followed by Colombia, Argentina, Venezuela and Peru. In recent decades Brazil has also concentrated half of the region's GDP and has become a first regional power. The average annual temperatures in the Amazon basin oscillate around 27 °C, with low thermal amplitudes and high rainfall indices. Between the Maracaibo Lake and the mouth of the Orinoco, predominates an equatorial climate of the type Congolese, that also includes parts of the Brazilian territory. The distribution of rainfall is related to the regime of winds and air masses. In most of the tropical region east of the Andes, winds blowing from the northeast, east and southeast carry moisture from the Atlantic, causing abundant rainfall. However, due to a consistently strong wind shear and a weak Intertropical Convergence Zone, tropical cyclones are practically unknown in the South Atlantic. In the Orinoco lhanos and in the Guianas plateau, the precipitation levels go from moderate to high. The Pacific coast of Colombia and northern Ecuador are rainy regions. The Atacama Desert, along this stretch of coast, is one of the driest regions in the world. The central and southern parts of Chile are subject to extratropical cyclones, and most of the Argentine Patagonia is desert. 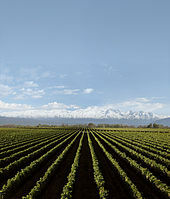 In the pampas of Argentina, Uruguay and South of Brazil the rainfall is moderate, with rains well distributed during the year. The moderately dry conditions of the Chaco oppose the intense rainfall of the eastern region of Paraguay. In the semiarid coast of the Brazilian Northeast the rains are linked to a monsoon regime. Other important Pre-Columbian cultures include: the Cañaris (in south central Ecuador), Chimú Empire (1300–1470, Peruvian northern coast), Chachapoyas, and the Aymaran kingdoms (1000–1450, Western Bolivia and southern Peru). 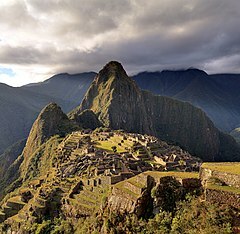 Holding their capital at the great city of Cusco, the Inca civilization dominated the Andes region from 1438 to 1533. Known as Tawantin suyu, and "the land of the four regions," in Quechua, the Inca Empire was highly distinct and developed. 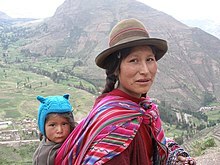 Inca rule extended to nearly a hundred linguistic or ethnic communities, some 9 to 14 million people connected by a 25,000 kilometer road system. Cities were built with precise, unmatched stonework, constructed over many levels of mountain terrain. Terrace farming was a useful form of agriculture. 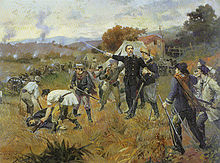 In 1825 the Cisplatine Province declared its independence from the Empire of Brazil, which led to the Cisplatine War between the imperials and the Argentine from the United Provinces of the Río de la Plata to control the region. Three years later, the United Kingdom intervened in the question by proclaiming a tie and creating in the former Cisplatina a new independent country: The Oriental Republic of Uruguay, which was the only separatist province that maintained its independence. 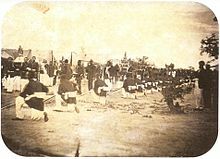 Later in 1836, while Brazil was experiencing the chaos of the regency, Rio Grande do Sul proclaimed its independence motivated by a tax crisis. 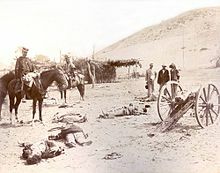 This was the longest and most bloody separatist conflict in South America. 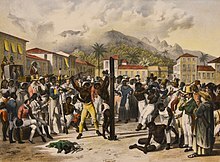 With the anticipation of the coronation of Pedro II to the throne of Brazil, the country could stabilize and fight the separatists, which the province of Santa Catarina had joined in 1839. 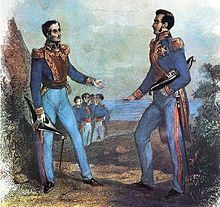 The Conflict came to an end with the total defeat of both Riograndense Republic and Juliana Republic and their reincorporation as provinces in 1845.
International indebtedness turned into a severe problem in the late 1980s, and some countries, despite having strong democracies, have not yet developed political institutions capable of handling such crises without resorting to unorthodox economic policies, as most recently illustrated by Argentina's default in the early 21st century. 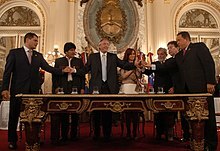 The last twenty years have seen an increased push towards regional integration, with the creation of uniquely South American institutions such as the Andean Community, Mercosur and Unasur. Notably, starting with the election of Hugo Chávez in Venezuela in 1998, the region experienced what has been termed a pink tide – the election of several leftist and center-left administrations to most countries of the area, except for the Guianas and Colombia. Historically, the Hispanic countries were founded as Republican dictatorships led by caudillos. Brazil was the only exception, being a constitutional monarchy for its first 67 years of independence, until a coup d'état proclaimed a republic. In the late 19th century, the most democratic countries were Brazil,Chile, Argentina and Uruguay. In the interwar period, nationalism grew stronger on the continent, influenced by countries like Nazi Germany and Fascist Italy. A series of authoritarian rules broke out in South American countries with views bringing them closer to the Axis Powers, like Vargas's Brazil or Perón's Argentina. 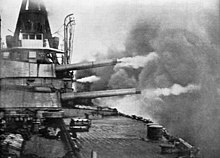 In the late 20th century, during the Cold War, many countries became military dictatorships under American tutelage in attempts to avoid the influence of the Soviet Union. After the fall of the authoritarian regimes, these countries became democratic republics. 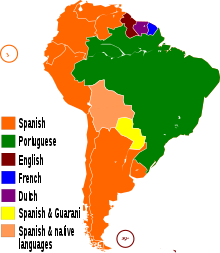 Recently, an intergovernmental entity has been formed which aims to merge the two existing customs unions: Mercosur and the Andean Community, thus forming the third-largest trade bloc in the world.This new political organization, known as Union of South American Nations, seeks to establish free movement of people, economic development, a common defense policy and the elimination of tariffs. South America has over 420 million inhabitants and a population growth rate of about 0.6% per year. There are several areas of sparse demographics such as tropical forests, the Atacama Desert and the icy portions of Patagonia. On the other hand, the continent presents regions of high population density, such as the great urban centers. The population is formed by descendants of Europeans (mainly Spaniards, Portuguese and Italians), Africans and indigenous peoples. There is a high percentage of mestizos that vary greatly in composition by place. There is also a minor population of Asians, especially in Brazil. The two main languages are by far Spanish and Portuguese, followed by French, English and Dutch in smaller numbers. Economically, Brazil, Argentina and Chile are the wealthiest and most developed nations in the continent. An estimated 90% of South Americans are Christians (82% Roman Catholic, 8% other Christian denominations mainly traditional Protestants and Evangelicals but also Orthodox), accounting for ca. 19% of Christians worldwide. Genetic admixture occurs at very high levels in South America. 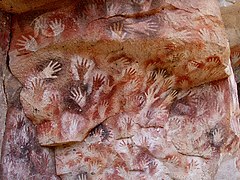 In Argentina, the European influence accounts for 65–79% of the genetic background, Amerindian for 17–31% and sub-Saharan African for 2–4%. 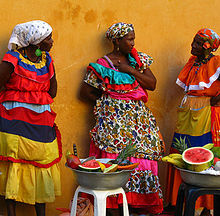 In Colombia, the sub-Saharan African genetic background varied from 1% to 89%, while the European genetic background varied from 20% to 79%, depending on the region.In Peru, European ancestries ranged from 1% to 31%, while the African contribution was only 1% to 3%. The Genographic Project determined the average Peruvian from Lima had about 28% European ancestry, 68% Native American, 2% Asian ancestry and 2% sub-Saharan African. 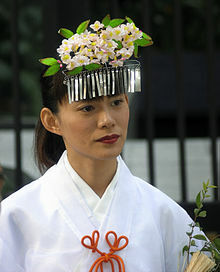 Brazil followed by Peru have the largest Japanese, Korean and Chinese communities in South America.East Indians form the largest ethnic group in Guyana and Suriname. While Brazil, Argentina, and Colombia maintain the largest populations, large city populations are not restricted to those nations. The largest cities in South America, by far, are São Paulo, Bogotá, and Lima. These cities are the only cities on the continent to exceed eight million, and three of five in the Americas. Next in size are Rio de Janeiro, Santiago, Caracas, Buenos Aires and Salvador. Tourism has increasingly become a significant source of income for many South American countries. Historical relics, architectural and natural wonders, a diverse range of foods and culture, vibrant and colorful cities, and stunning landscapes attract millions of tourists every year to South America. Some of the most visited places in the region are Iguazu Falls, Recife, Olinda, Machu Picchu, Bariloche, the Amazon rainforest, Rio de Janeiro, São Luís, Salvador, Fortaleza, Maceió, Buenos Aires, Florianópolis, San Ignacio Miní, Isla Margarita, Natal, Lima, São Paulo, Angel Falls, Brasília, Nazca Lines, Cuzco, Belo Horizonte, Lake Titicaca, Salar de Uyuni, Jesuit Missions of Chiquitos, Los Roques archipelago, Gran Sabana, Patagonia, Tayrona National Natural Park, Santa Marta, Bogotá, Medellín, Cartagena, Perito Moreno Glacier and the Galápagos Islands. Teatro Solis, Uruguay. National Library, Brazil. Arya Dewaker Hindu temple, Paramaribo, Suriname. Tango show in Buenos Aires, typical argentine dance. Carmen Miranda, Portuguese Brazilian singer helped popularize samba internationally. 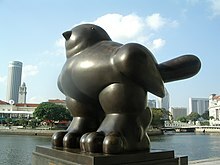 Currently several emerging South American artists are recognized by international art critics: Guillermo Lorca—Chilean painter,Teddy Cobeña—Ecuadorian sculptor and recipient of international sculpture award in France) and Argentine artist Adrián Villar Rojas—winner of the Zurich Museum Art Award among many others. Two areas of greater density occur in the railway sector: the platinum network, which develops around the Platine region, largely belonging to Argentina, with more than 45,000 km in length; And the Southeast Brazil network, which mainly serves the state of São Paulo, state of Rio de Janeiro and Minas Gerais. Brazil and Argentina also stand out in the road sector. 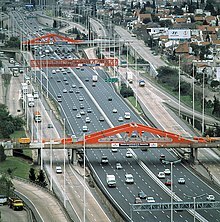 In addition to the modern roads that extend through northern Argentina and south-east and south of Brazil, a vast road complex aims to link Brasilia, the federal capital, to the South, Southeast, Northeast and Northern regions of Brazil. The Port of Callao is the main port of Peru.South America has one of the largest bays of navigable inland waterways in the world, represented mainly by the Amazon basin, the Platine basin, the São Francisco and the Orinoco basins, Brazil having about 54,000 km navigable, while Argentina has 6,500 km and Venezuela, 1,200 km. 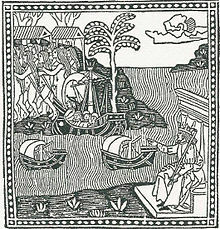 The two main merchant fleets also belong to Brazil and Argentina. The following are those of Chile, Venezuela, Peru and Colombia. The largest ports in commercial movement are those of Buenos Aires, Santos, Rio de Janeiro, Bahía Blanca, Rosario, Valparaiso, Recife, Salvador, Montevideo, Paranaguá, Rio Grande, Fortaleza, Belém and Maracaibo. In South America, commercial aviation has a magnificent expansion field, which has one of the largest traffic density lines in the world, Rio de Janeiro–São Paulo, and large airports, such as Congonhas, São Paulo–Guarulhos International and Viracopos (São Paulo), Rio de Janeiro International and Santos Dumont (Rio de Janeiro), Ezeiza (Buenos Aires), Confins International Airport (Belo Horizonte), Curitiba International Airport (Curitiba), Brasilia, Caracas, Montevideo, Lima, Bogotá, Recife, Salvador, Salgado Filho International Airport (Porto Alegre), Fortaleza, Manaus and Belém. The main public transport in major cities is the bus. Many cities also have a diverse system of metro and subway trains. The Santiago subway is the largest network in South America, with 103 km, while the São Paulo subway is the largest in transportation, with more than 4.6 million passengers per day and was voted the best in the Americas. In Rio de Janeiro was installed the first railroad of the continent, in 1854. Today the city has a vast and diversified system of metropolitan trains, integrated with buses and subway. Recently it was also inaugurated in the city a Light Rail System called VLT, a small electrical trams at low speed, while São Paulo inaugurated its monorail, the first of South America. In Brazil, an express bus system called Bus Rapid Transit (BRT), which operates in several cities, has also been developed. ^ Continent model: In some parts of the world South America is viewed as a subcontinent of the Americas (a single continent in these areas), for example Latin America, Latin Europe, and Iran. In most of the countries with English as an official language, however, it is considered a continent;see Americas (terminology). ^ ""Unveiling the South American Balance" in Estudos Internacionais, 2(2): 215–232. | Luis L Schenoni". Academia.edu. 1970-01-01. Retrieved 2016-12-08. ^ McKay, C. P. (May–June 2002). "Two dry for life: The Atacama Desert and Mars" (PDF). Ad Astra. 14 (3): 30. Archived from the original (PDF) on 2009-08-26. ^ "United Nations Statistics Division- Standard Country and Area Codes Classifications (M49)". Unstats.un.org. 2011-09-20. Retrieved 2012-05-21. ^ "Archived copy". Archived from the original on 2015-04-11. Retrieved 2017-01-26. ^ Scheina, Robert L. (31 January 2003). 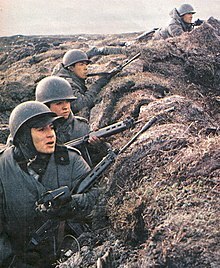 "Latin America's Wars". Potomac Books, Inc. – via Google Books. ^  Archived 2013-09-27 at the Wayback Machine. ^ Tungodden, Bertil; Stern, Nicholas Herbert; Stern, Nicholas; Kolstad, Ivar (2004). Toward Pro-poor Policies: Aid, Institutions, and Globalization. World Bank Publications. p. 219. ISBN 9780821353882. ^ Salzano, FM; Sans, M (2014). "Interethnic admixture and the evolution of Latin American populations". Genet. Mol. Biol. 37 (1 Suppl): 151–170. doi:10.1590/s1415-47572014000200003. PMC 3983580  . PMID 24764751. ^ Cruz-Coke, R; Moreno, RS (1994). "Genetic epidemiology of single gene defects in Chile". Journal of Medical Genetics. 31 (9): 702–706. doi:10.1136/jmg.31.9.702. PMC 1050080  . PMID 7815439. ^ Bushnell, David & Rex A. Hudson (2010) "The Society and Its Environment"; Colombia: a country study: 87. Washingtion D.C.: Federal Research Division, Library of Congress. ^ Lizcano Fernández, Francisco (May–August 2005). "Composición Étnica de las Tres Áreas Culturales del Continente Americano al Comienzo del Siglo XXI" (PDF). Convergencia (in Spanish). Mexico: Universidad Autónoma del Estado de México, Centro de Investigación en Ciencias Sociales y Humanidades. 38: 185–232; table on p. 218. ISSN 1405-1435. Archived from the original (PDF) on 20 September 2008. ^ "World Economic Outlook Database". IMF. April 2017. Retrieved 2016-04-18. ^ "Human Development Report 2014. Human development indices. 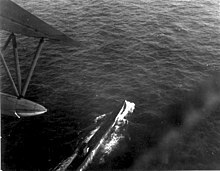 p.23" (PDF). The United Nations. Retrieved 2011-05-24. ^ "Global Metro Monitor". Brookings Institution. Retrieved 19 April 2017. ^ "Carlo Cruz-Díez redefines colour with new york". Wall papper, Art News.